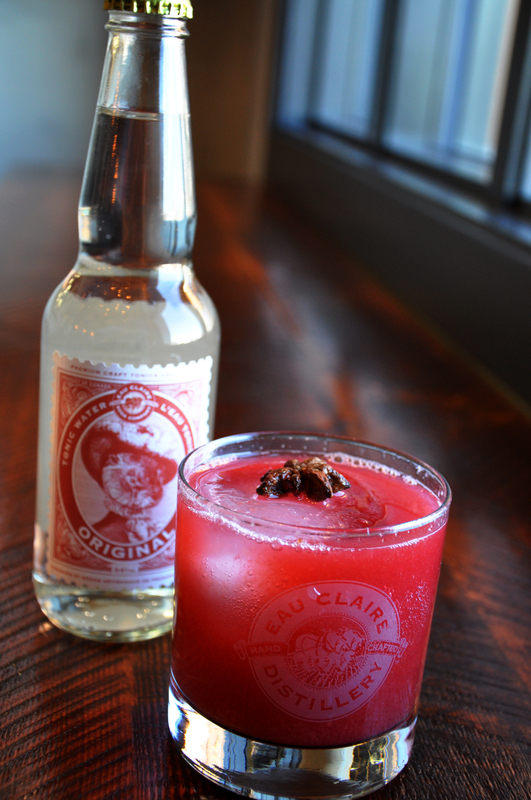 Muddle B.C cherries with star anise and Eau Claire Distillery Parlour Gin, pour into a rocks glass with a large ice cube, top with Eau Claire Soda Company Tonic Water, stir to combine. Serve with ½ bottle of Tonic Water. Garnish with fresh cherries on a skewer – or a nice Canadian Flag!